Sleeping masks is sometimes a must for a good night’s remainder; after all, sunlight is sleep’s nemesis. But there’s no reason why your masks can’t function as cute and light-blocking. These DIY cat sleeping masks are adorable and purrfect for any person trying to capture those Zzzzs. A cat-inspired sleeping mask is a super fun, easy craft that can be a gift or part of your own collect. Seeming for a bit of a challenge? Make one that matches either your own cat or your favorite Instagram kitty. Watch the video below to find out how to make this unique cat pattern and then get ready for your next cat nap. 1. Attain a sleeping mask pattern by sketching it on paper, cutting it out, and holding it up to your face. When you are satisfied with the shape, cut the fur and satin using the pattern. 2. With right sides of the textile facing each other, stitch from the tip-off of the ear around the bottom edge to the other ear tip. Tie off the thread and trim the end. 3. Turn the mask right side out. 4. Cut out the eyes , nose and inner ears from the feel. Glue them to the fur side of the mask. 5. Stitch around the top of the mask, tie off the thread and trim it. 6. Measure a piece of elastic against your head and cut a little shorter so it’s secures nicely around the back of your head. Insert each aim of the elastic into the side of the cat mask and glue in place. 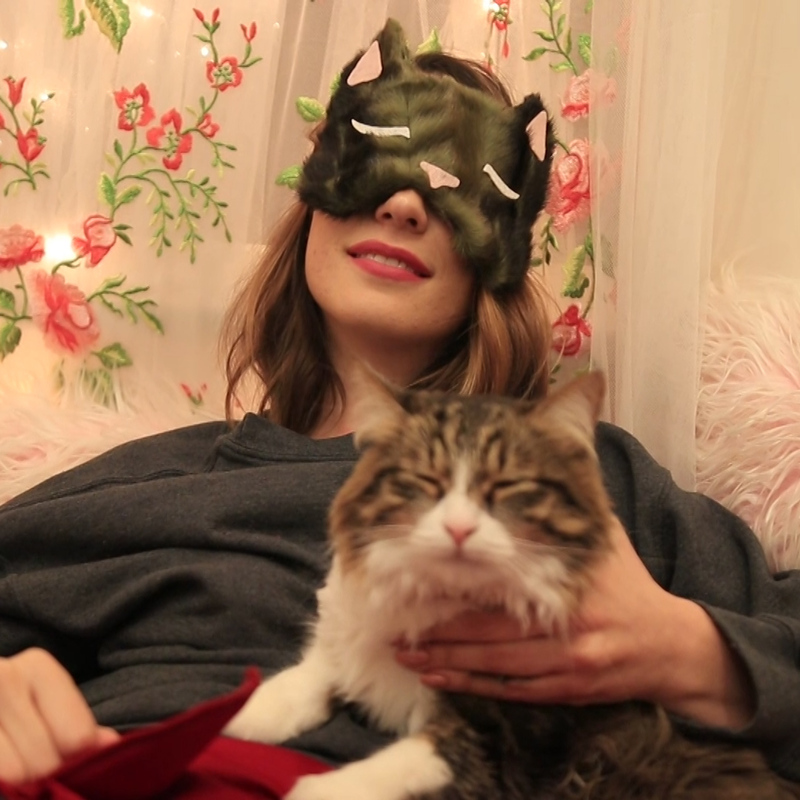 The post This DIY sleeping mask is purrfect for your next cat nap appeared first on HelloGiggles.